Caffeine-found in tea, coffee, maté, cola beverages, cocoa, and chocolate products-is an integral part of the diet of many people. 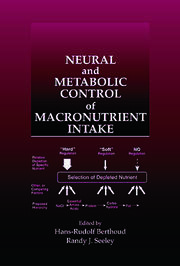 Caffeine answers questions for a broad range of readers interested in the effects beverages and foods containing this dietary methylxanthine have on human health, nutrition, and physiological functioning. The composition, processing, consumption, health effects, and epidemiological correlations of caffeine are examined in detail. It is often said that too much caffeine is "bad for you." How much is too much? 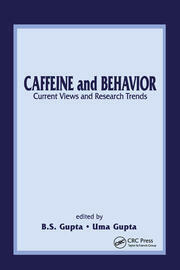 Get the facts on consumption of caffeine-containing products with this authoritative text. Chapters 1 and 2 offer an introductory, concise overview of the chemistry and analysis of methylxanthines. In Chapters 3 through 8, each natural product-tea, coffee, maté, and cocoa and chocolate products-is described in terms of botany, cultivation, processing, composition, and consumption patterns. 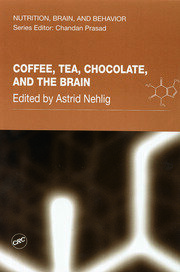 Consumption of caffeine is also examined in detail in Chapter 9. 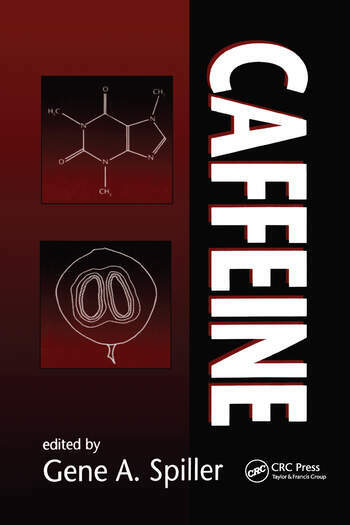 Chapter 10 provides an easy-to-read overview of the basic physiology and biochemistry of caffeine. The ergogenic, cognitive, and emotional effects of caffeine are discussed in Chapters 11 and 12. Chapters 13 through 16 deal with specific health effects-serum cholesterol, cancer and fibrocystic breast disease, calcium and bone health, and human reproduction. For physicians, nutritionists, other health professionals, food scientists, and everyone interested in the effects of caffeine on the human body, Caffeine is a convenient, single-source reference. Analytical Methods for the Quantitation of Methylxanthines, W.J. Hurst, R.A. Martin, Jr., and S.M. Tarka, Jr.
Methylxanthine Composition and Consumption Patterns of Cocoa and Chocolate Products, J.L. Apgar and S.M. Tarka, Jr.